Mirabelle's 16th birthday is coming up, but she still has no idea how to live. Her guardians have forbidden almost everything in her life, so she is not really living at all. Everything from going out with friends and having a boyfriend to simple things like shaving her legs and watching television are forbidden to Mirabelle. And there is one thing that she wants to do, but it is also number one on her guardian's DO NOT DO list--visit her hometown. Mirabelle wants her sweet sixteen to be about discovering herself, and there is no better place to find it then where her life started. Until she discovers that her homecoming is more magical than she thought and now she has to pay the consequences. 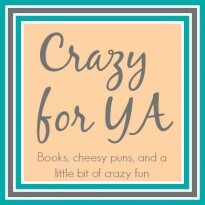 I am currently trying to deal with my retelling obsession. I just finished Dorothy Must Die (which was amazing by the way) and I am trying to hunt down all of the novellas. I have gotten so many retellings on my Kindle that I am afraid that this is not just a phase. At this point, my life revolves around the fairytales and the next episode of Once Upon A Time. 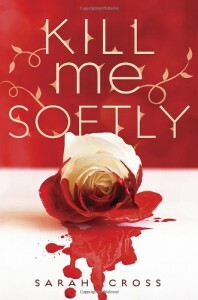 Kill Me Softly is very original for a retelling. (Even though I found that it had several things in common with Once Upon A Time, but I do not count that as a bad thing). The people of the town are not actually the characters, they just have the same curses as the classic stories. Fairies, some good and others evil, have the power to cast curses on anyone. These curses are from the fairytales we all know and love. These curses have a mind of their own and change to inflict the most damage in the modern world. This book was really giving modern day characters the burdens of fairytale princes and princesses (and everyone in between). Mirabelle (who likes to be called Mira) is the main character, and she is like Sleeping Beauty. This is not a spoiler, I promise. It is quite obvious from the first page of the book. She is true to her fairytale counterpart: she's clever but shy, does not like to listen to ANYONE, and she's kind of gullible. This is the main thing that frustrated me throughout the book. She refused to listen to anyone, no matter how obviously right they were. I guess this is just part of her fairytale character. I mean it takes a special kind of person to do the ONE THING you knew could put you to sleep for hundreds of years. Her stubbornness was admirable, but frustrating. The redemption for Mira's aggravating qualities is Blue. He is pretty much the perfect gentleman (some may even call him a prince). He is extremely protective (which comes in handy with Mira's stubbornness) and hilarious. Blue's dry humor was one of the finest points of the book. The secondary characters are really developed too. I felt as if I understand most of the characters. I could feel Freddie's excitement, Vivian's fear, and Henley's frustration. The beauty (and horror) of their lives was fascinating to me. I am excited for the rest of the books in the series so I can learn more about the rest of the cursed citizens of Beau Rivage. The main issue I had with this book was the romance (if you can call it that) between Felix and Mira. Felix is basically 10 years older than her, which I believe is rather creepy (especially because she is not even 16 yet). That whole situation put me off, but I know realize why Cross wrote it like that. Honestly, after finishing the book, I understood why she make that relationship. But it am still not okay with it. The ending also rubbed me the wrong way. Everything was left open for interpretation. There was very little resolution and many loose ends were left dangling. For example, the mystery of Mira's parents was built throughout the entire story, and then dropped in the end. me, but it might just be your cup of tea. There are better retellings, but there are quite a few that are worse. Kill Me Softly is stuck in the middle ground for me, but I plan on continuing with the series when I can get my hands on Tear Me Apart. My retelling obsession is far from over. Kill Me Softly curbed my hunger for now, but I will definitely be back for more.